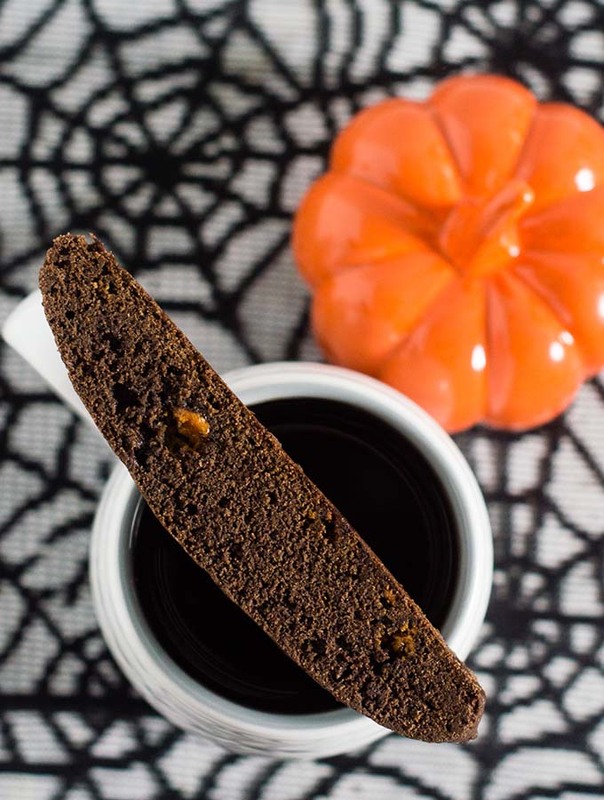 Butterfinger biscotti uses up some of your leftover Halloween candy in a tender, American-style chocolate biscotti cookie. It’s almost Halloween! If you have a child in your house, or expect trick or treaters at your door, chances are, you’ll have some candy lying around after Monday. That’s why we’re sharing recipes for using leftover Halloween candy. Many thanks to our host, Gluten Free Crumbley! I’ve never made a recipe with leftover candy before because “leftover candy” isn’t a thing in my house. My son loves trick-or-treating, and collects a lot of candy. I only let him eat one piece each day (he’s only 4, after all), so it lasts a long time, but we don’t mind. But this sounded like a fun theme, so I thought of what recipe I could make with candy, and came up with Butterfinger Biscotti. I’d seen candy-stuffed cookie recipes before, but I wasn’t interested in the effort involved in wrapping cookie dough around candy. I wanted something easy. I thought of using candy as mix-ins, but most candy bars are too big and don’t hold up well to being chopped. Butterfingers, on the other hand, are crispy rather than soft. A few whacks with a rolling pin (it’s a technical term) breaks the candy bars up into chunks small enough to use as mix-ins. This is American-style biscotti, which uses butter to make a more tender cookie. 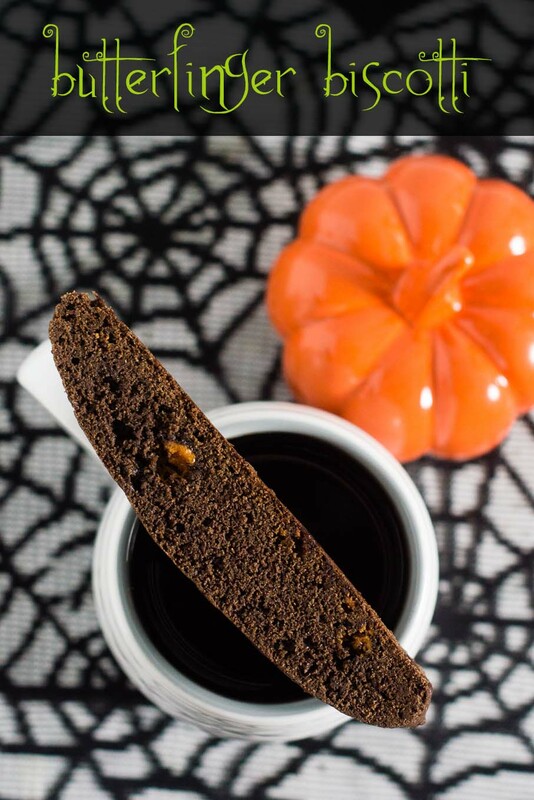 The espresso in the cookie is to enhance the chocolate flavor — there’s not enough to impart the flavor of coffee into the cookie. You can leave it out if you don’t have any, or substitute an equal amount of instant coffee crystals. 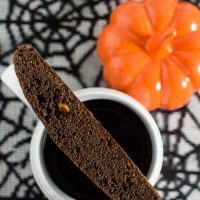 A dip in chocolate is a modern addition to the traditional cookie, but would taste delicious on these Butterfinger Biscotti, as would a drizzle of peanut butter glaze: beat together 2 ounces of softened cream cheese, 1/4 cup powdered sugar, 2 tablespoons of peanut butter, 1/2 teaspoon of vanilla extract and 2 to 3 tablespoons of milk. Place in a sturdy plastic zip-top bag, and snip off one corner. 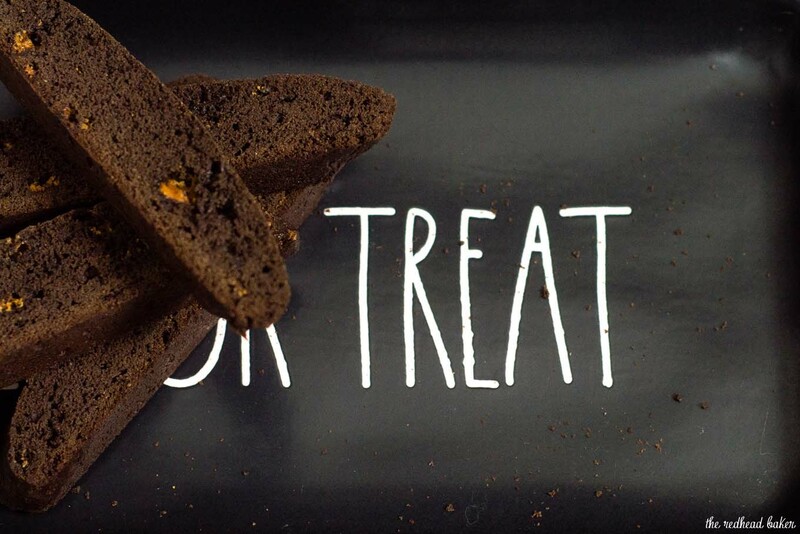 Drizzle over the cooled biscotti. In the bowl of a mixer fitted with the paddle attachment, cream together the butter, sugar, salt vanilla extract, baking powder and baking soda until smooth and creamy. Add in the eggs one at a time, beating until fully incorporated and scraping down the bowl before adding the second. Scrape down the bowl after the second egg is incorporated. In a small bowl, stir together the flour, cocoa powder and espresso powder. Add to the butter mixture and stir on low speed just until fully incorporated. Unwrap the candy bars and place in a heavy-duty zip-top plastic bag. Use a meat tenderizer or rolling pin to roughly crush the candy bars. Add the candy bar pieces to the cookie dough and stir in just until evenly distributed. Scrape the dough onto the prepared baking sheet. Moisten your hands and shape the dough into a log roughly 14 inches long by 2 1/2 inches wide and 3/4 inch tall. Bake for 25 minutes. Remove the baking sheet from the oven and let the log cool for 20 minutes. Drop the oven temperature to 325 degrees. Transfer the log to a cutting board. Using a serrated knife, cut the log on the diagonal into 3/4-inch thick slices. Be sure to make the cuts straight up and down. Return the slices to the baking sheet and place back in the oven and bake for another 25 minutes. Transfer the cookies to a wire rack to cool, then store in an airtight container for up to 1 week. 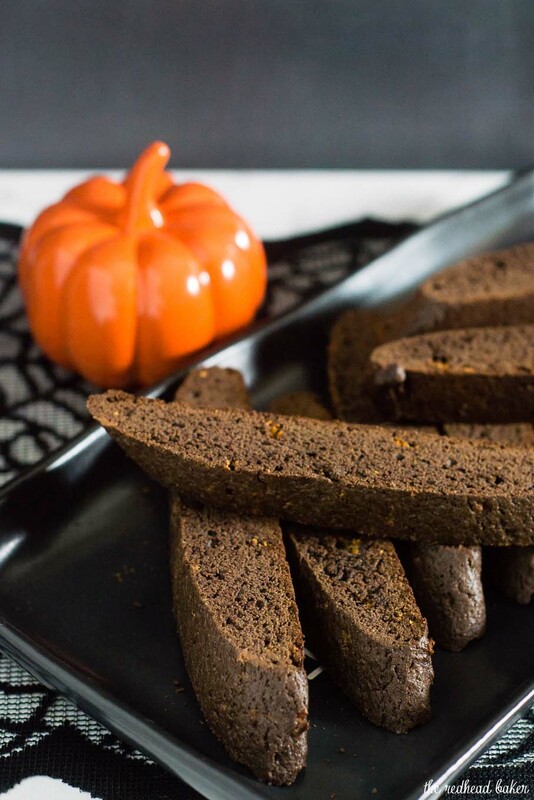 Discover more #SundaySupper Halloween Leftover recipes! 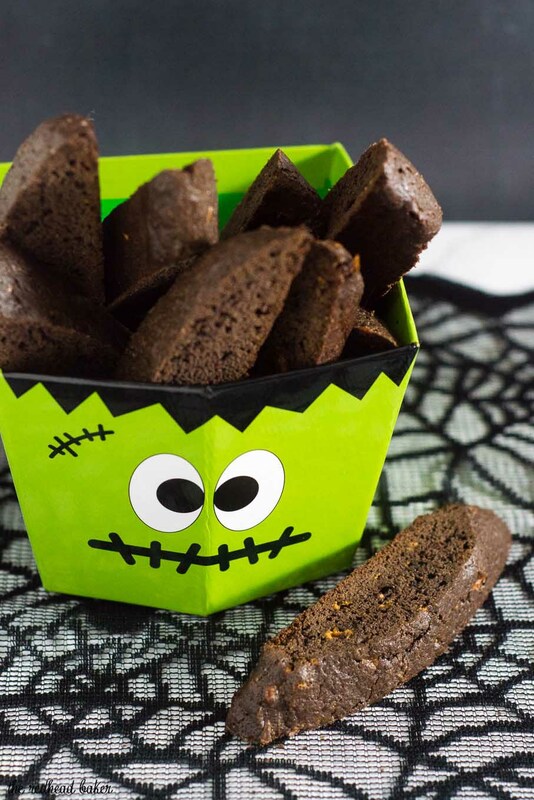 These are beautiful biscotti! Love the fun twist of the Butterfingers. What a stellar afternoon treat with some coffee. Ooh, I love that you added Butterfingers!!! 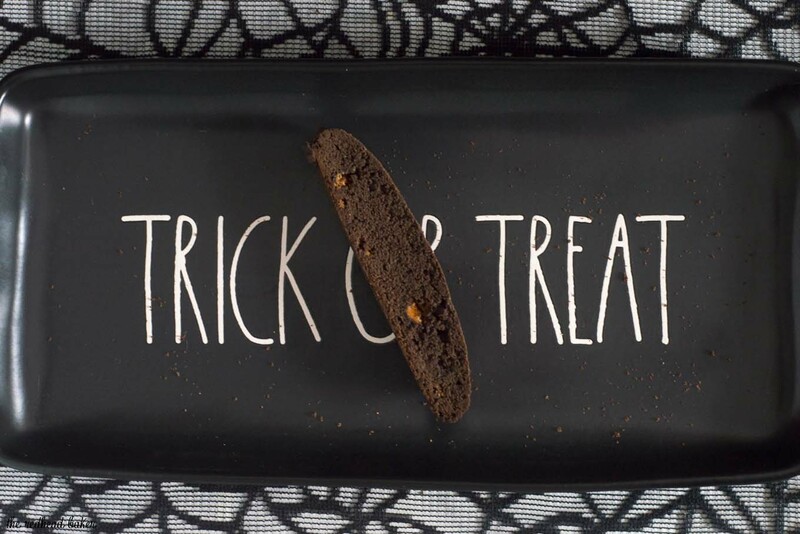 These are definitely my kind of biscotti! Such a great idea! I’m imaging one with a large cup of coffee, a book, and many 15 minutes of quiet. Someday, my dream will come true, lol.